Did the Greeks invent a laptop in 100 B.C.? A quick internet search will tell you that the first portable computer, aka a laptop, was the Osborne 1, which was made in 1981. However, there are some people who believe that the laptop was invented much earlier, in about 100 BC, or that someone took a modern laptop back in time. 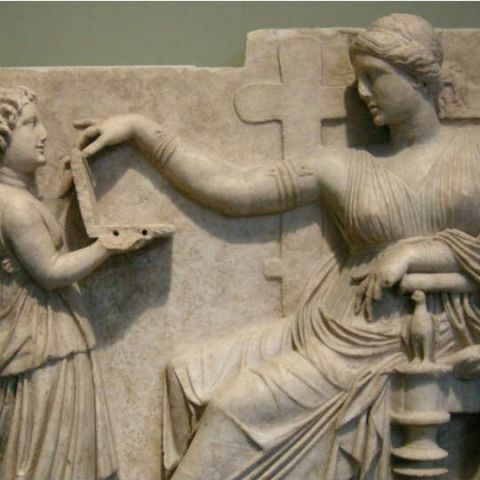 A theory is has been floating around the internet has resurfaced, and claims that an Ancient Greek sculpture shows a woman using what appears to be laptop. The sculpture called Grave Naiskos of an Enthroned Woman with an Attendant and is kept at the J. Paul Getty Museum in Malibu, California. It depicts a woman reclining on a chair, while she reaches out to touch the lid of an object held by a small girl, most probably servant. Theorists say that the object is either an ancient laptop, or proof that time travelers took a modern laptop to the past. They also say that the holes at the side of the object are USB ports. YouTuber, StillSpeakingOut posted a video in which he says that the object is too narrow to be a jewelry box. He adds, “But when I look at the sculpture I can’t help but think about the Oracle of Delphi, which was supposed to allow the priests to connect with the gods to retrieve advanced information and various aspects.” He also wonders if this is where the technology company Oracle and the programming language Delphi, got their names from. However, it is most likely that the object shown in the nothing more than a wax tablet. 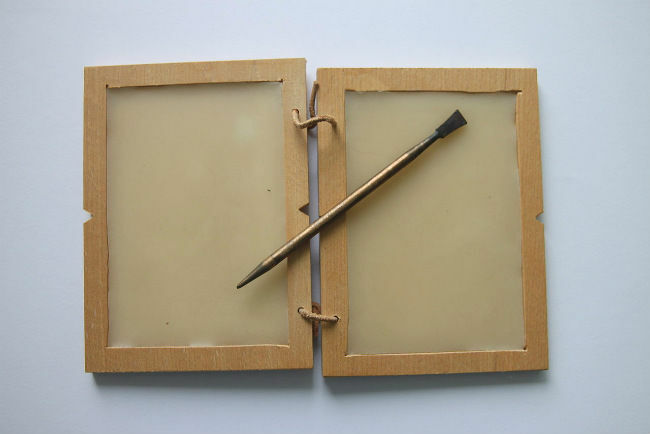 It was a made of wood with a layer of wax upon which people could write using a pointed instrument called a stylus (which is where the term come from). This tablet would often be linked to another tablet, which would then cover it. When someone wanted to erase what was written, they could heat the tablet. This would melt the wax, leaving behind a clean slate. As for the holes, Kristina Killgrove, a contributor for Forbes, believes that the holes could be used to hold wooden or any other perishable object. In addition, the official description of the sculpture on Getty’s site says that it was originally a three-sided grave monument, but three elements have been cut. Killgrove says that the holes could relate to any of the missing pieces. However, YouTube user ‘TheSerbTube’ may have the most compelling argument as to what the object is and what is being depicted. A gaming laptop in my budget?